1 Combine Hellmann's® Organic Original, lime juice and lime peel in large bowl. 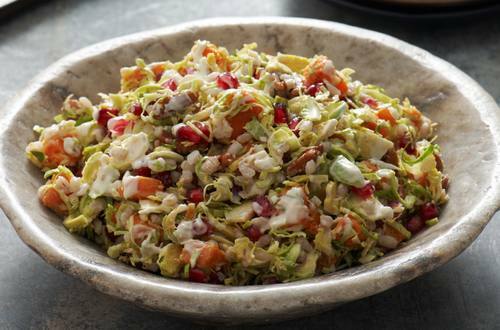 Add Brussels Sprouts, sweet potato, pomegranate seeds, barley and pecans and toss. Garnish, if desired, with chopped fresh cilantro.